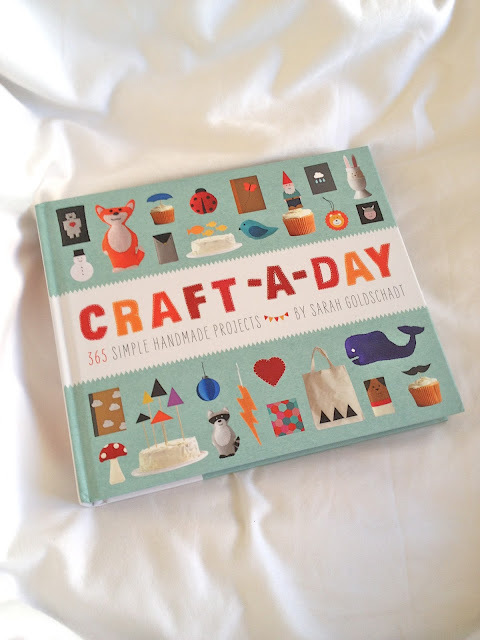 The Best Craft Book Ever, Craft-A-Day by Sarah Goldschadt / Hey, EEP! Look what arrived in the mail yesterday! I ordered my friend Sarah Goldschadt's brilliant craft book, Craft-A-Day, last week and it's finally here! Sarah's a super talented crafter and graphic designer turned author and, I must say, I couldn't be happier for her. The book is amazing! It's an entire year of crafts, tucked artfully into one fabulous book, organized by week: Each chapter starts with a traceable template, then you use that design to make a week's worth of themed projects like garlands, ornaments, cupcake toppers—it's perfect. I can't wait to show you the little ghost party we worked on together :) Keep your eyes peeled!